Hold Your Beliefs Lightly or Tightly? “Do you hold your beliefs lightly or tightly? Psychologist and researcher, Robert Plutchik created The wheel of Emotions – a model of human emotions and their relations and combinations. It consists of 8 basic emotions, opposed in pairs, and multiple shades. The model resulted in a circumplex where emotions and variations are represented by different colors and hues. This circumplex can be flattened in a 2D view (see below) to allow viewing of all emotions at once. Plutchik identified eight primary emotions, which he coordinated in pairs of opposites: joy versus sadness; trust versus disgust; fear versus anger and anticipation versus surprise. 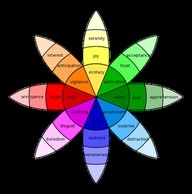 Intensity of emotion and indicator color increases toward the center of the wheel and decreases outward. Akin to a color wheel, variations in color intensity correspond to variations in emotional intensity. Thus, the eight primary emotions occupy the middle ring of the flower with more intense forms occurring in the center (depicted by bolder colors) and milder forms the extremities (depicted by paler colors). For example, “Rage” is the stronger form of “Anger” while “Annoyance” is the weaker. Similarly, terror becomes fear and then apprehension; Ecstasy becomes joy and then serenity. Further, secondary emotions are displayed as combinations of the primary ones: Acceptance and apprehension combine to create submission. Personally, I find this model pretty illuminating. Although, Plutcih’s model is a good start, it seems to be incomplete. It has often been argued that many complex emotions have not found place in this model. To that extent, this model is limited. One of the competencies of successful coaches is to be able to assist the coached ‘decode’ his or her words, thoughts and emotions. But in doing that, the coach needs to avoid the trap of drawing meanings of the coached person’s words based on his or her own frame of reference. It is important to remember a word may have different connotations for different people. I have also heard sentences sprinkled with comparative phrases like ‘more than’, ‘better than’ and ‘less than’. And I have heard people use collective nouns and pronouns that are sweeping rather than specific – “they,” ‘we,” “the stakeholders” and “senior management.” It is also interesting to hear them say “I need to communicate well” or “I need to be healthy” and speak of self-imposed constraints. Coaches may use a series of clarifying questions to facilitate the process of sharpening the focus. Take for example a time when the coached comes up with a generalised statement like: “My leader always rejects my ideas.” A coach may then ask: “Is it true? How many times in the last six months have your ideas been rejected?” That will help the coached get more clarity. A good coach will always ask the coached “What do you mean by communicate well? Do you mean you want to articulate ideas well or be brief or listen more and talk less?” And when the coach hears of self-imposed constraints, the attempt should be to discover what exactly the constraints are. Some of my favourite questions which often encourage the coached to challenge their thinking and test these constraints are – According to who? What measure are you using? What is the worst that could happen if you didn’t do this? Indeed, the clarifying questions often act as a mirror and may help the coached test his or her own beliefs and even re-evaluate his/her thinking. The time spent in ‘digging’ to understand the coached person’s perspective and helping him or her articulate thoughts and ideas with clarity is a useful exercise and may help in saving time and energy in the long run. What do you think is the future of Executive Coaching In India? ” Executive coaching as a specialized discipline has been flourishing in the United States, UK and other mature market economies. Research studies in these countries have been consistently showing spectacular improvements in performance after executive coaching. This answer is not sector specific. If we see start ups are mushrooming across the sectors, may be IT/Non IT, many young entrepreneurs are coming in the market. We need executive courses which deliver the exposure to understand various business situations after all business is long run game where you have to deal with all kind of stuff. As there are many B-Schools which have launched Executive programmes but I think Executives are more inclined to join Elite Segment only. There is bounds of opportunity to design and make successful this type of courses. Shalini – many of The MBL Global Network’s members are coming from India … coaching interest and awareness seems to be growing rapidly. The concept of Executive Coaching is relatively new in India. Over the last 3 to 5 years it has got traction. As more and more organizations drive to adopt best practices and learnings from the fortune companies, the practice of executive development is becoming more visible. Lot of mid-size companies too who have active board members have seen getting support for executive coaching esp for C level execs. The large organizations are extending such practices to the mid-level segment to foster effective grooming and succession planning. In my opinion the future of exec coaches in India will be very good as many C level execs have begun to seek continuous and active support from executive coaches. This trend will gain speed as many Indian as well as non-indian companies are appointing expats in operational roles. The expats are used to such concepts and that would in turn help in getting the initial buy-in. Change Management, Business Excellence and Six Sigma professional. While passion is key to all careers it is even more so for a Executive Coach. I won’t really bother what is the future of Executive Coaching is in India. It doesn’t matter I think. I won’t consider becoming a coach because the future is bright. I would consider it if I think I can do well. I can help. If I am good I will make money also. Realistically speaking I have some apprehensions about coaching in India – most of us have difficulty admitting we need help. A mix of upbringing, schooling, and role modeling by parents (elders) has made this even worse. Seeking help is considered a sign of weakness. Going back to how I started my response – I wish there are more coaches who really are good at coaching. Slowly the tide will turn. Demands are picking up for young executives. Parental guidance and traditional coaching is losing its steam. The rate at which both Indian and Chinese companies and organizations have adopted our “best” practices and modified them to utilize them in their organizations is impressive. I suspect like in this country it will catch on. Also like this country you will struggle with what defines “effective” coaching and the techniques will need to both integrate the best practices and the cultural nuances appropriate to the culture. I see coaching as essential to creating the trust and interpersonal relationships that create true engagement. I have a sincere hope that “engagement” as a business philosophy becomes the international standard and that rather than studying “American” management practices or “Japanese” management practices we look for something that transcends. I have created a very basic model with five elements that I think is applicable in any culture- those elements are: respect, responsibility, information, rewards, and loyalty. There are “skills” that are necessary to implement and sustain that model, but those skills like the elements are transferable. I also believe that “coaching” needs to be pushed down in the organization. Waiting to implement it at the mid or executive level is wasted opportunity. It should be built into the foundation of leadership and management training. This is indeed the best time to have such initiatives in the Chindia subcontinent. Life coaching is not a new concept to the Indian subcontinent and same is the case with Personal Coaching. Indian scripts are full of examples of such practices. Even today, you will find many top business executives, company owners and successful working professionals who have their own coaches and mentors. Typically they are called as ‘gurus’ and are addressed in several different forms. Some of them are sincere, genuine and few fake. Business coaching and conflict coaching is still in the nascent stages. Although a sizable number of Companies invest in coaching for the middle level managers, there are very few Companies which have structured and established coaching programs for top business executives. The Indian subcontinent is certainly waking up to this world of coaching and has begun to appreciate the merits of coaching. So from that perspective surely the future for good coaches in India is surely bright as many C level execs have started to seek on going and active support from executive coaches. This trend will gain momentum as more and more leaders as MNCs appoint expats in their respective organizations. The expats are used to such concepts and that would play a key role in rolling out such practices. Needless to add, any coaching initiative need to take a top down approach to reap the true benefits and that will happen only when the efforts have a structured process-driven relationship between a trained professional coach and an individual or team. This should include: assessment, examining values and motivation, setting measurable goals, defining focused action plans and using validated behavioral change tools and techniques to assist one to develop competencies and remove blocks to achieve valuable and sustainable changes in both professional and personal life. One word of caution though, for quick and a healthy start to such efforts, all coaching programs need to have a good blend of western and eastern philosophies and honor local cultural and ethnic sensitivities and customize such programs. Dishonoring local sensitivities is a sure way to the highway of failed experiments. Like they say, THINK global ACT local! Yes. The future is definitely bright. The more and more the boundaries of local vs global are getting evaporated, the Indian companies and the top management will find the need to have executive coaching in making their companies grow beyond a certain limit. The highly competent advisors will be in demand. We are providing such services to the SME sector. well Executive Coaching, today, is widely accepted as a ‘necessary learning’ in the arena of competitive business. It is accepted as a part of standard leadership development for top- rung executives. It is a Programme of one- to-one collaboration between a certified coach and an executive, who wants to better his leadership skills, access new perspectives and above all reach maximum potential. The trend is fast catching up in India too. Top corporate executives acknowledge the energising role that a coach plays and are fast seeking the expertise of an executive coach in order to strengthen their business vision, performance and capacities. However, there is a perceived need for a tailored programme to train senior professionals, and thats what Executive Coaching do…. It was a select gathering of some of Chennai’s young entrepreneurs, and among them a sprinkling of top executives from a few multinationals, who listened with keen intent to a session held recently on the concept of executive coaching by two coaches from the UK, Peter Hogarth and Kenneth MacLennan. Hogarth, regarded as a pioneer in the EC space, having started in 1992, built Change Partnership UK into a global outfit with coaches in over a dozen countries and billing close to 10 million GBP before selling it off and starting again in a very high-end niche in the UK. Hogarth has been a mentor since 2000 to V. Ramakrishnan, Managing Director of the Singapore-based Organisation Development Lte Ltd. Ramakrishnan established Change Partnership Singapore in 2003 to hive off the burgeoning coaching practice and to give it a distinct identity while Change Partnership India (CPI) was set up in 2004 with T. Ramakrishnan of Laras Leaders as a partner. Hogarth, says V. Ram, has developed a wide array of tools and interventions which are available to the Indian affiliate, which will also tap into Hogarth’s vast experience as an executive coach (EC) . In Chennai recently for a session with local entrepreneurs to propagate the concept of executive coaching, Ram interacted with The New Manager in a conversation and on mail about whether Indian businesses and CEOs are ready for coaching. Has executive coaching as a concept gained ground in India or is it early days yet? It is not an infant and not yet into the teens. When we started just a few years ago the main client base was MNCs looking to get a coach for their senior expatriate managers. Many Indians were being sent to set up operations here and found the going difficult. These ‘virtual Indians’ had little or no knowledge of the working Indian ethos and needed the support of an experienced hand to make their way forward, especially in the early days. While not mainstream yet it is more accepted and we are seeing Indian firms asking for coaches. In India we are currently doing several assignments, all with MNCs. The names are confidential. When does a CEO typically find the need for an EC? Are Indian CEOs ready for it — is it an admission of a shortcoming or a weakness, rather, is it perceived as such and that’s why they are not forthcoming even if they do need guidance? Often a quality functional specialist who has delivered good results consistently, say, as a marketer or finance head or manufacturing chief, is elevated to become a CEO either within the firm (rarely) or is hired into that position, or in the case of MNCs is parachuted into that position. Undoubtedly these are competent, intelligent and highly motivated people. The need is for them to understand and acquire cross-functional skill sets quickly. There is little room for error or mistakes; the stakes are high for the company and CEO. This is where most executive coaching goes to develop the manager for a higher role in short order or help the person improve his performance just that tad so he goes from being good to outstanding. The second area is where the CEO/Chairman needs to vent, talk, share, debate. He or she cannot do so internally as it develops political ramifications. There is a need for a ‘sounding board,’ an objective and experienced listener who can talk to the person as an equal, draw on his experience, active and informed debate of the pros and cons through skilful query and help the person develop his or her insights. The crux to coaching is not giving advice or one-on-one consulting; EC is about questioning in a way that helps the person find the needed insights. It is important that the coachee sees the need for and benefits of EC. It cannot be and should not be sold or forced. Initially, as with all new ideas, there is scepticism. Once they understand what they can get out of the sessions, and that is the EC’s first focus, they become willing partners. The situation to avoid is where they become totally dependent on the EC; the EC cannot become a surrogate CEO. When is an EC ready to be an EC — obviously you are dealing with high achievers, right at the top of the ladder — so what skills/knowledge does an EC bring to the table that he has the CEOs ear? How does the EC stay ahead of the knowledge/skills barrier that a CEO would turn to him/her? In the CPI scheme of things we are looking for high performers who have held and been successful in senior general management positions over and above their functional specialists. We find that people who have been at the coal face and worked on it seem to command greater respect and are more skilful in assessing and understanding the coachees’ needs. The key skill for an EC is the ability to raise the appropriate question to develop the needed insights. The coachees are high achievers, talented and often need just a trigger to get them going. On occasion, the coachee would draw on the EC’s experience to find solutions to specific situations — sort of directed advice. The single most important caveat for an EC is that he or she should encourage the coachee to assess the inputs in terms of the situation and circumstances around the problem and generate his or her own solution. These can be discussed and debated with a coach but cannot be handed out as a solution by the coach. 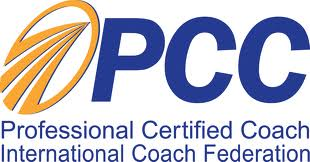 The EC has probably four hours to assess and understand the coachee, determine the needs and develop a coaching plan. An EC needs to be able to run what is called a triangular assessment centre — the key strength for which is detecting trends and patterns in the feedback given by the coachee, his peers, direct reports, his supervisor and customers and the EC’s own observations derived from a structured interview. The EC has to spend time in staying current in a whole slew of subjects — general affairs, overall trends, vertical knowledge, specialist functional knowledge, understanding evolving HR and business practices. The EC also needs to nurture a large network which can be tapped to provide specific inputs. Formally, every EC in the CPI system has a ‘buddy’ partner, a shadow coach with whom he shares the situation, the challenges and explores solutions — it is mutual learning. As always, the EC and the buddy have to maintain the very highest standards of confidentiality. Coaching high achievers is an issue, especially the early generation of young managers. Many have difficulty in accepting their shortcomings and we have learnt that if there is no open mind, these superb functional high-performers trip up sooner than later. The more mature ones understand that in recommending a coach, the company’s message is: “We value you but you need to commit to develop yourself if you are going to stay valuable!” They recognise that in some firms it is de rigueur and over time people start seeing the value. If executive coaching generally remains in the realm of managerial issues what’s the difference between a management guru and an EC? EC has a wide range and needs to be restricted to management issues though it is used extensively for people in management positions or getting ready for such positions. EC offers a way for thinking through solutions to practical problems, near-term challenges and to develop that incendiary thought processes that long-term leaders seem to have. What are Change Partnership’s plans for the Indian market? Will you target medium-sized companies/large ones — is it more by word of mouth? The market is big, nascent and growing. Currently the focus is all-India and on MNCs — they want it and see the cost benefit. Indian companies are just beginning – though a few have been at it for some years now — and only the large to mid-sized firms would value a top-notch coach. SMEs in our experience often do not see the need and if they see it baulk at paying for it. Thus far it has been based on our global networks but plans are underway for a more structured approach to market and business development. We have a training programme for our new coaches and are searching for experienced general mangers who would seek to build on EC as a career. They cannot be just retirees who share an experience. One issue that should bother people is that many jobless professionals and retirees are now calling themselves coaches and mentors. This category includes lifestyle coaches (teaching dance, music, etc,) and a lot of people who have learnt off the Net or self-learn tapes. Interesting, but what happens when HR chiefs, after lengthy and successful tenures at Levers, retire? Taking board seats is old hat. In what seems to be a trend, they are choosing to become executive coaches, whizzing about the country (and worldwide), helping high-performing top management achieve that critical edge. With strong foundations in management development and organisational transformation, their role of coaching CEOs has become a natural extension. RR Nair, who retired from Unilever in 1999 as advisor, organisation development and training for Central Asia & Middle East, is a case in point. His potential as a coach was recognised by Keki Dadiseth , then outgoing chairman, who requested him to continue as mentor to Vindi Banga and Harish Manwani after retirement. A few years later, when his involvement with Levers ended (“ to make room for others” he jokes), Nair’s multicultural exposure to the human dimensions of M&A (Unilever Arabia at one point comprised 36 nationalities) was priceless to other firms. Today, the lion’s share of his time is spent on addressing issues of succession and leadership effectiveness in Indian companies. “With an ageing senior management , creation of a robust leadership pipeline is a huge preoccupation ,” he says. Other companies have produced respected independent HR consultants — Infosys’ Hema Ravichandran, Cadburys’ Radhakrishnan Menon, ITC’s Zahid Gangjee, Bharti’s Jagdeep Khandpur — but no company has produced them in greater numbers than Levers. And all of them are juggling packed itineraries, with most Indian companies on a growth binge and in dire need of HR advice. After three decades in HUL, Prem Kamath decided to “go it alone” a few years ago, as a specialist in executive coaching and leadership development. When Kamath deals with issues of organisational restructuring he knows what he is talking about — handling the testing HR integration of the 1993 Tomco-HUL and Brooke Bond-Lipton mergers was lasting learning. “We all had to re-learn the paradigm of labour-management relations,” he says. Interestingly, Kamath is actually an operations guy. With an engineering degree from IIT followed up with an MBA from IIM, and with the first 16 years of his career spent in marketing and sales, Kamath was one of many hard-boiled operations heads who were thrown into the deep end of HR by Dadiseth. “It was considered an advantage to have HR guys who spoke the language of the operating side because the acceptance levels were higher,” says Kamath. Dadiseth, for his part, passes on the credit for introducing non-HR people into tough industrial relations jobs to former chairman Ashok Ganguly: “I simply built upon it. At the end of the day, he believed that if you have the necessary IQ and interpersonal skills, then very quickly you can make up the experience deficit and go on to do a very good job.” “I think those of us line managers who used to crib the most about HR were pulled in to head the key HR subfunctions ,” says Kamath. Kamath isn’t the only operations-turned-HR executive to take up coaching. Naren Nanda, a chemical engineer with experience in manufacturing and factory management, eventually retired as head of HR for Unilever’s global Home and Personal Care business. He then founded Enen Consulting through which he has been extensively coaching clients in the UK, India and Japan. Natarajan Sunder, former VP, global reward, Unilever and today an independent HR consultant to leading multinationals in the UK and India, had a background in science and banking before being drawn into the remuneration function of HR in 1986. “Unilever decided India needed a full-time remuneration manager and I was probably picked because I could both add and spell ‘human resources’ ,” he jokes. Sunder made the switch between finance and HR thrice. When he successfully piloted the work level remuneration program in India , Unilever’s HR director invited him to design and implement the integrated global remuneration policy. “It remains Unilever’s largest global HR project till date,” says Sunder, who now darts between designing expatriate packages for moves between an Indian company and acquisitions in Europe and developing clarity of job roles for a FTSE 10 company. Well respected , with an admirable history of handling adversarial labour issues, Singh was told that a 360-degree appraisal revealed that he was perceived by subordinates as intimidating. He was advised to recruit an internal “coach” from within his team. He chose a young Leena Nair, who, over the next few months became his mirror, giving him real-time feedback on how he could overcome his weaknesses. “I was only a rookie at the time, but he was amazingly open to feedback,” says Leena Nair. That must have built up his capacity for coaching because today, it is Singh who holds that mirror, while the CEOs at the receiving end squirm in their seats. “CEOs are still very sensitive about selfdisclosure ,” explains Singh. He derived much of his capability from the challenging environment that he had to function in. It was the late 90s and multinationals had swarmed into India drastically altering the way careers were being shaped. HUL was going through a slow growth phase as well as faltering in its long-held perception as preferred employer. “It was a huge challenge to maintain the mindset of risk taking and entrepreneurship,” he recalls. Besides situational learning, a lot of HR competence came from the drill of administering Unilever’s renowned leadership development mechanisms. “While other organisations hired leaders, Unilever, for its own good reasons, developed its own leaders and so, quickly designed the systems to identify potential,” says Singh. RR Nair says part of what he tries to do with companies is build the kind of top leadership that focuses on “200 potential leaders with the skills and credibility to deliver” . “There were several reasons why Levers was so good at it but two key values helped- meritocracy and professionalism,” he says. The top management’s involvement begins with HUL’s management trainee programme, which recruits an elite cadre from the best engineering and management institutes. “Management trainees weren’t recruited without at least two directors on the panel; I had four,” says Singh. Sheth recalls how the late chairman Vasant Rajadhyaksha once spotted a participant in a college debate he went to judge and didn’t rest until she was persuaded to join HUL’s legal services team. Today that is exactly the kind of involved leadership they’re trying to develop within the organisations they consult with. “An Indian MD recently told me that he was spending an inordinate amount of time on HR issues. I said that couldn’t be better news for his company,” says Singh. Still, their continued enthusiasm for Levers is thinly veiled, and you cannot escape the unanimity of reactions, references, even rhetoric. ‘You can get a man out of Levers but not Levers out of a man’ might just be the aphorism that underscores the shared culture.